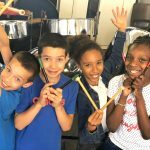 Following the move to Reading College CultureMix was able to expand steel pan music workshops launching a new boot camp for beginners and improvers with separately focussed RASPO rehearsals to develop players. Reggae favourites IYA Rebels featured in the 3rd Peace and Love Concert in May at Readipop Studios along with The Percussive Word duo Monte and Louie, and a first performance from RASPO Teens. With sound system stalwarts Jan Lion Movement the event was a fantastic evening of roots, reggae and pan. The 4th Peace and Love Concert at RISC in November saw the return of IYA Rebels this time with a larger band and revamped songs from the upcoming album ‘Nadah’. Again Jah Lion Movement rounded off the night with a rootsy reggae and dub set. RASPO performed at Reading Contemporary Art Fair, for the Reading Half Marathon, for the Mayors Ball at Reading Concert Hall, for The Pride of Reading Awards at Madejski Conference Centre and appeared live on the Lorraine Kelly show to millions of ITV morning viewers. The orchestra recorded a third CD for release in 2017 along with a book celebrating diversity. The annual outdoor Calypso and Carols concert raised funds to maintain free workshops for young people. CultureMix contributed to the Reading 2016 Year of Culture with a summer event of Carnival arts and music workshops led by professional animateurs. 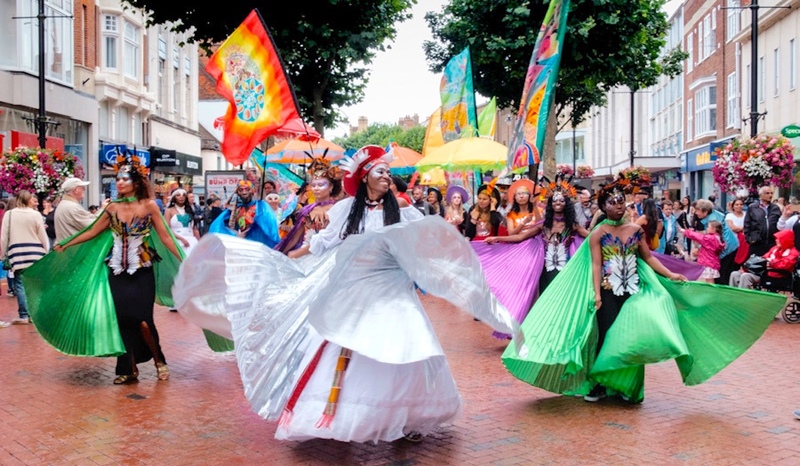 The project launched the first Carnival of the World event in Reading with a Broad Street Parade, and a follow up performance in the Notting Hill Carnival procession. CultureMix tutors delivered weekly curriculum music and clubs to 1200 children in 25 schools across Berkshire and Hampshire. Fifty children were selected from eight of the primary schools in Reading and West Berkshire to form the Berkshire Youth Steel Percussion Orchestra for a performance at the iconic Royal Albert Hall. 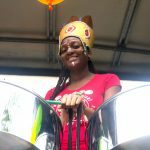 Mary continues as an advisor on the Berkshire Music Education Hub board, a board member of the Carnival Village Trust, and on the Reading CAN (Cultural Arts Network) advisory board. She continues as chair of Black mentoring charity Reading Refocus. Mary joined the Cultural Education Partnership led by ArtsWork and Arts Council England to engage children and young people with arts and cultural activities. 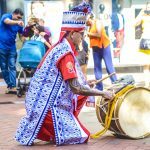 In 2016 CultureMix received funding for Carnival of the World from Reading UK CIC, The Cultural Partnership and Arts Council England. We would like to thank our funders, partners, collaborators, participants, artists and audiences for positively contributing to our work.